BEIJING, Sept. 11, 2017 /PRNewswire/ — The 2016 annual conference of China’s TV shopping industry was held in Beijing and many domestic TV shopping channels and partners attended the ceremony. 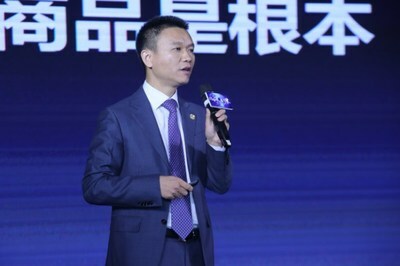 Mr. Jason Kong, president of GHS, delivered a speech titled “From Non-mainstream to Mainstream, China’s Media Retail Industry’s Road to Rise” and gave his views on issues of industrial development. He said, TV shopping is a comprehensive industry format across the media and retail industry. Also, TV shopping industry plays a non-mainstream role whether in capital, capability in attracting talents, scale, influence, etc. Furthermore, the domestic industry having the potential and strategic value to become a mainstream format compared with foreign counterparts, because TV shopping industry has potential and value. TV shopping not only competes with B2C giants, but also becomes a national strategy to play a critical role in stimulating consumer market. Currently, China is upgrading its consumption to retain consumers who have excessive consumption capacity at home rather than force them to purchase abroad. Therefore, in supply-side reform, TV shopping should play as a better retail channel and help form a better manufacturing eco-system. Lastly, he said, driven by market and guided by innovation, TV shopping is transforming from non-mainstream to mainstream industry. To realize this goal, TV shopping industry and its enterprises need to continuously explore and practice. Therefore, GHS breaks TV shopping’s stereotype and creates new and fashionable programs which represents the program innovation. Also, GHS is the only company that provides 30-day free return and replacement service in TV shopping industry in China, which upgrades customer service. To generate channel expansion, GHS has rolled out its arrangement in smart TVs and established a mobile video e-commerce platform in mobile phones. GHS also strives to be an international TV shopping company to expand our business to a global level and bring Chinese products to the world. GHS has a “Shark Spirit” – it has three characteristics. First, a strong ability to adapt to the environment. Second, it changes 30,000 teeth in its lifetime, which inspires us to stay competitive. Third, it will carry on performing, which means it has a strong work ethic. GHS is willing to be the pilot unit to play a valuable role in society and shoulder more social responsibilities.